This book is filled with information and techniques I used when running my popular NYC-based eco-friendly apartment cleaning service. Save money by making your own cleaning products. Stop wasting time with products and techniques that don't work! What’s wrong with “regular” cleaning products? Learn about toxic synthetic ingredients and how they affect your health, animals, and the environment. How to identify safe products. Learn to read product labels and find more information about the cleaning products you use around your children and pets. How to make safe, effective, and thrifty green cleaning products yourself! Featuring over 30 recipes and tips for kitchen, bathroom, mold & mildew, glass, window, wood furniture, floors, pets, carpet, and laundry. 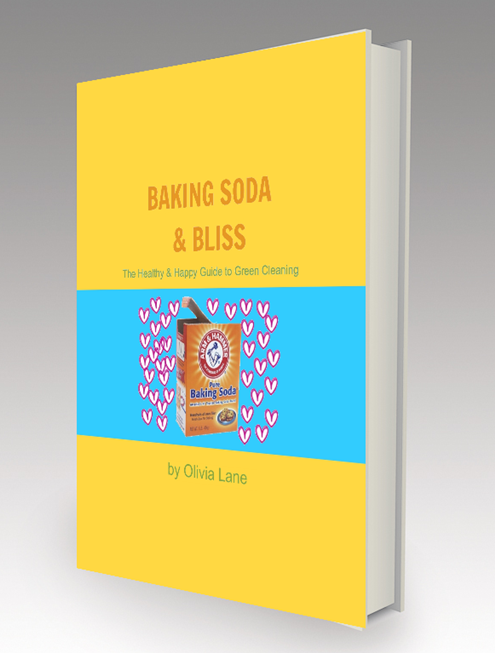 It also includes a glossary and handy shopping list of green cleaning superstar ingredients! All this in just 31 easy-to-read pages with straight forward information that will inspire and empower you to get started on healthy homekeeping fast! *You do not need a Kindle to read PDFs. This eBook is a PDF and can be read in iBooks (via your iPad, iPhone, or iPod) or with a PDF reader like Adobe Reader or Microsoft Reader. Can you wet your wood floor? "I loved your book - I cleaned the oven (haven't done that in ten years). Also the killer vinegar seems to be working. For years I struggled with preventing mildew in our shower. I love cleaning green. :-)" - Sacha, Brooklyn, NY. Mother of two young children. "WOW! This is awesome! Short and sweet, but hit all the major points! Well done Olivia!" -Ginger, Barrington, RI. Mother of three.